The 2018 PRWeek UK Awards once more celebrated the best campaigns, consultancies and teams over the past 12 months, as well as honouring Edelman's Jackie Cooper with a place in the Hall of Fame award. There were 33 categories overall, ranging from Small, Mid-Sized and Large Consultancies of the Year to the new categories Best Use of Celebrity/Celebrities and Best Cause-Led and International Campaigns. Taylor Herring (pictured) was the biggest winner on the night, taking home six awards, while The Romans won four and W three. 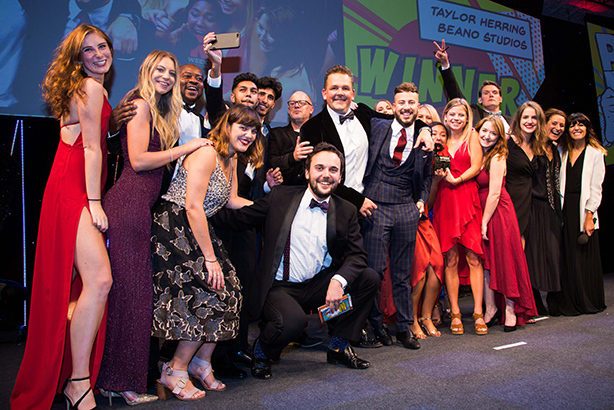 90TEN also won four, including Mid-Sized and Specialist Agency of the Year, as well as Young PR Professional for comms starlet Amy O'Connor. Shelter was named In-House Team of the Year. PRWeek would like to thank our esteemed panel of industry professionals who judged the awards, as well as our sponsors and of course all of the entrants and attendees.